…and then press and hold there for a moment to get a new menu to pop up. 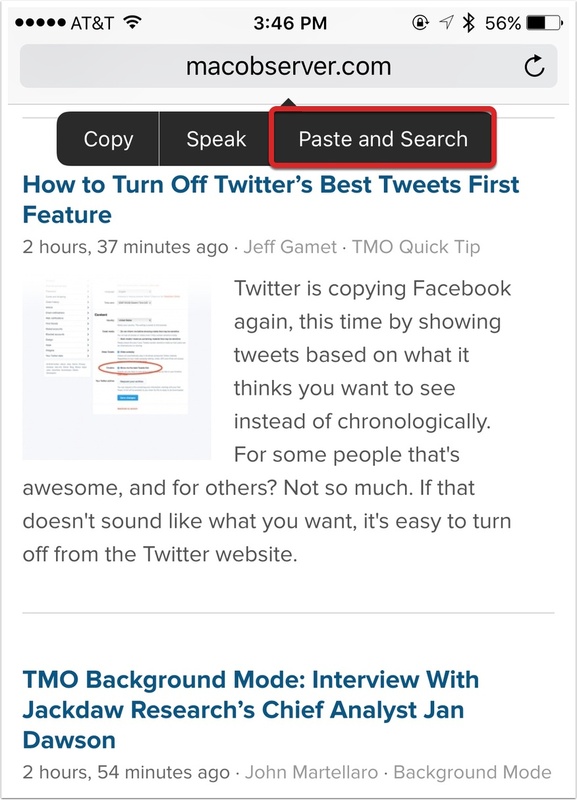 See that “Paste and Search” option? 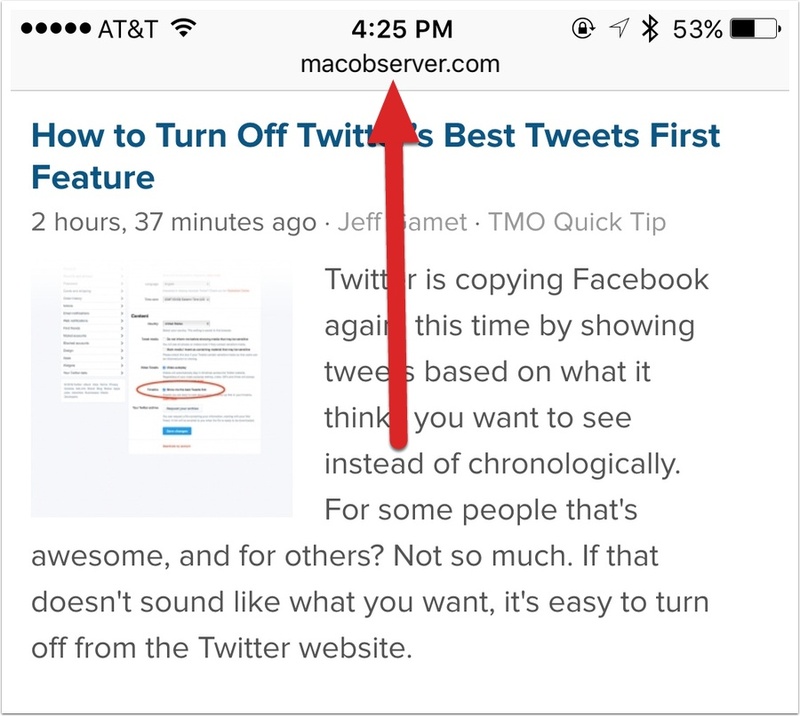 Tap that, and your copied text will become your new Web search, lickety-split. If what you copied was a URL, though, the command will read “Paste and Go” instead. As you can see, that menu will also let you copy what’s in the search bar or have your device speak its contents aloud. Which, I gotta say, is pretty fun, especially if what it’s reading is a Web address. There’s nothing like hearing Siri shout “HTTPS://WWW.GOOGLE.COM!!! !” at top volume.